Ruth Virginia (Black) Chambers left this earth for her heavenly home on Monday, April 9, 2018 at the age of 93. She was born the third of five children to Leslie Floyd Black and Eva Viola (Williams) Black on February 5, 1925 in Tonti Township, Illinois. Sadly both parents had died by the time Ruth was five years old and she and her siblings were reared by loving aunts, uncles and grandparents in the Alma, Illinois area where she was born. She graduated from Alma High School and married the love of her life, John W. Chambers, June 12, 1941. While John served as leader of a Mine Detection Unit in WWII, she waited for months to hear of his condition knowing only that he was MIA. He was a POW in Germany for 99 days, being released when the war was over. He was able to call her on their 4th anniversary June 12, 1945 to tell her he was alive. They had 55 wonderful years together. Ruth was an excellent homemaker, seamstress, and cook. She was a great friend to many and was always eager to help anyone in need. She was full of fun and laughter. 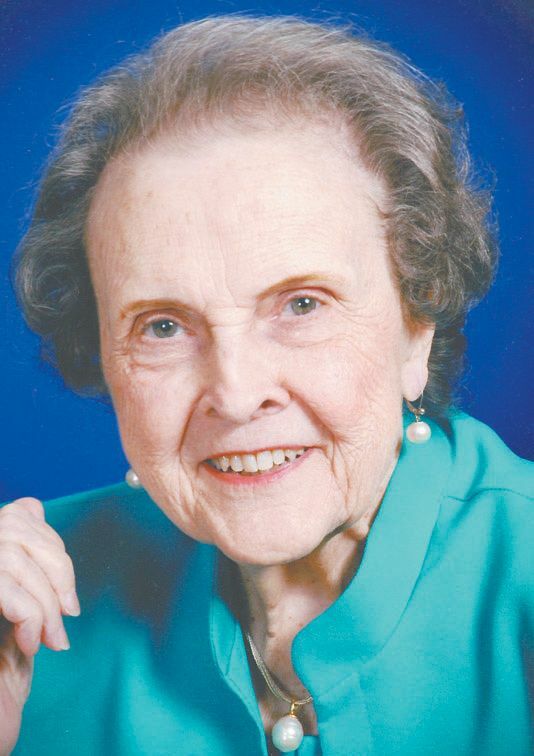 Ruth was an active member of the First United Methodist Church of Miami since 1946. She also enjoyed Letters and Arts, NEO Travel Club, Eastern Star and PEO Chapter EJ. Ruth was preceded in death by her husband, John; two sisters, Kate Howard and Evelyn Frye and two brothers, Junior Black, Leslie Clyde Black. She was a loving wife and caring mother. She is survived by two daughters: Judy and husband Dale Tracy, Cheyenne, OK; Janet and husband Walt Catlow, Geneva, Illinois; and one son, Don and wife Nancy Chambers, Moorestown, New Jersey; Six grandchildren: Tony and wife Karla Tracy, Cheyenne, OK; Keith and wife Amy, Edmond, OK; John and wife Amy, Colorado Springs, CO; Michael and wife Ashley Catlow, Phoenix, AZ; Kelly Chambers, Philadelphia, PA; Devin Chambers, Boston, MA and fourteen great grandchildren: Randa and Seth Overstreet, Whitley, Riley, Ashley, Hannah, Sarah, Cameron, Daniel, Noah, Logan, Keilah, Cole, Asher and Moriah Tracy and a host of cousins, nieces, nephews, relatives and friends. Visitation will be held at the Brown-Winters Funeral Home on Friday, April 13 from 6:00 p.m. to 8:00 p.m. A private family interment in the Glen Abbey Cemetery, Miami, Oklahoma is planned with a Celebration of Life Service at 10:00 a.m. in the First United Methodist Church, Miami, Oklahoma on Saturday, April 14 officiated by Rev. Chuck Horton, Owasso and Rev. Mark Rickman, Miami. In lieu of flowers, the family suggests memorials be made to the First United Methodist Church, 200 B. NW, Miami, OK 74354.